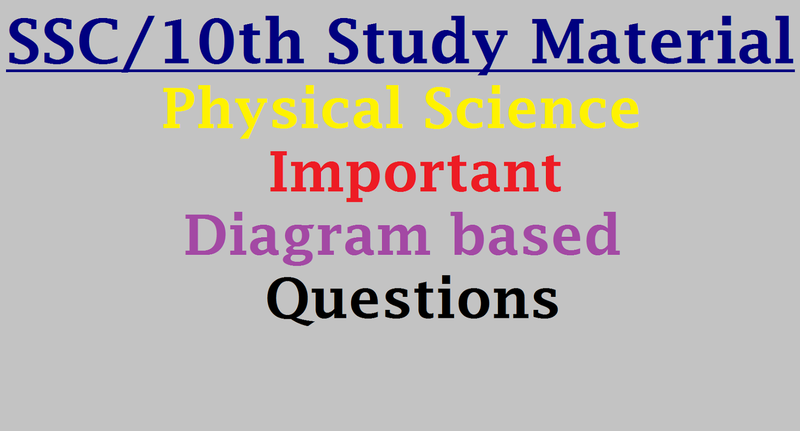 10th Class Physical Science Important Diagram based Questions| PS Important Diagram Based Questions asked previously in SSC Exams | X Class Physical Science Diagram Based Questions | Frequently asked Phy Sci Diagram Based Questions| SSC P S Important Diagram Based Questions Asked in Exams. X Class Physical Science English Medium Diagram Based questions study material is prepared by Navachaitanya competitions.Thanks to Navachaitanya competitions for providing such an excellent material for 10th class students. Hope this material will be very much useful for the students to score good marks in the exams.